HSDC dancers Jesse Bechard & Ana Lopez in Alejandro Cerrudo's "Little mortal jump". Photo by Todd Rosenberg. As usual, the dancers of Hubbard Street Dance Chicago (HSDC) ruled the Harris Theater stage last weekend. Shocking, right? First, they were performing two works from last season I already liked, plus a world premiere by resident choreographer Alejandro Cerrudo. It was safe to assume, I would be a goner. Don’t get me wrong, I’m no push over. In fact, it usually takes a lot to impress me, but these dancers seem to always knock it out of the park with energy, style, finesse and a humbleness that belies their collective and individual talents. Alonzo King’s Following the Subtle Current Upstream, kicked off the performances. The LINES director set his work on the company last spring and with a year to play inside the choreography, the dancers seem more comfortable and willing to take more risks. There were a few wobbles in the first all-male section on Thursday, which could be attributed to last minute, lingering opening night nerves or they were really pushing it. 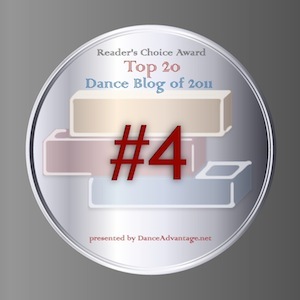 The piece grew stronger with every section as the dancers took bigger risks with the movement. (I’m not sure, but I think one of them even danced right off the marley for a second.) Kevin Shannon – looking buff – has really grown in the work. His solo ending the piece was strong and daring. The duet danced by Penny Saunders and Cerrudo (Thurs) and Kellie Epperheimer and Jesse Bechard (Sunday) is the highlight of the work. The Cerrudo/Saunders relationship was comfortable, secure and trusting, while Bechard/Epperheimer showed a fresh tension and sensuality. The same choreography telling two opposing stages of love. Cerrudo expertly navigates the stage dragging, pulling, lifting and stopping Saunders as if he is a compass guiding her back home. Bechard lets Epperheimer take the lead offering support, helping her go where she yearns to be. Also returning from last season was Sharon Eyal’s Too Beaucoup. Think avant garde aliens acclimating to a futuristic Midwest 8th grade mixer. It was the duet in Cerrudo’s premiere, Little mortal jump, that still has me transfixed. 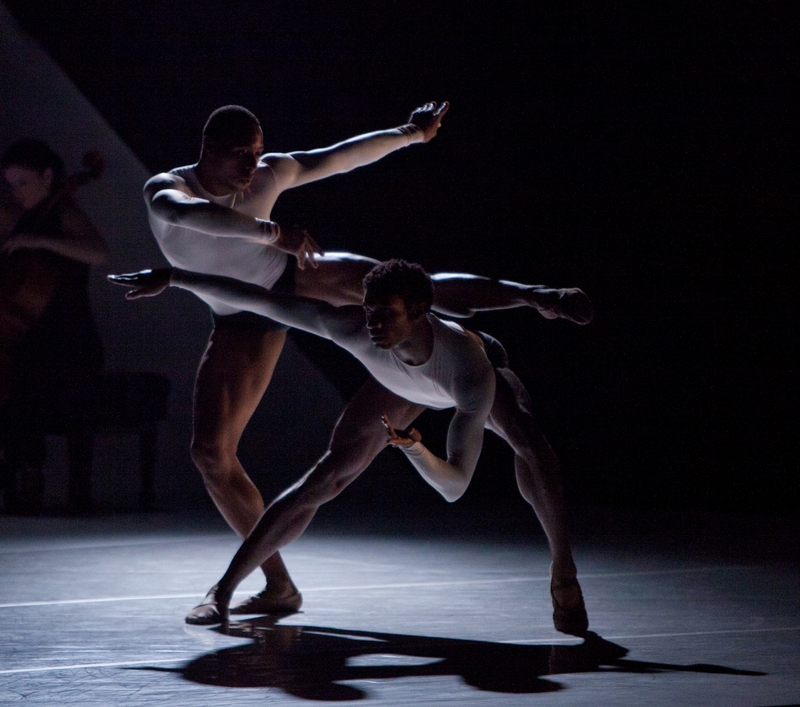 Coming at the end of several vignettes in a shadowy haze of black, white and gray, the duet transports the audience to a different realm at one point even transcending time. The slow motion sequence in the last minutes of the work makes you feel like you were in the movie Inception, taking your breath away with aching emotions, elegant reaches and its technical defiance of gravity. Bechard again shows his partnering prowess, this time dancing with the exquisite Ana Lopez. Cerrudo’s love of movies and music front and center in the short “film” clips hinting at past works melded with an eclectic hand-picked score that was spot on. The final image of the couple in a downlit lift center stage after pushing the through a wall of moveable black boxes was stunning. As they run off into the darkness upstage, the other dancers send the boxes spinning before exiting themselves. The moment was spectacular warranting a standing ovation for Cerrudo and crew at both shows. I met a new friend at intermission. Max had never been to see a dance performance before. (Way to start at the top!) Let’s just say he was impressed. Dancer Jessica Tong in "Too Beaucoup". Photo by Todd Rosenberg. 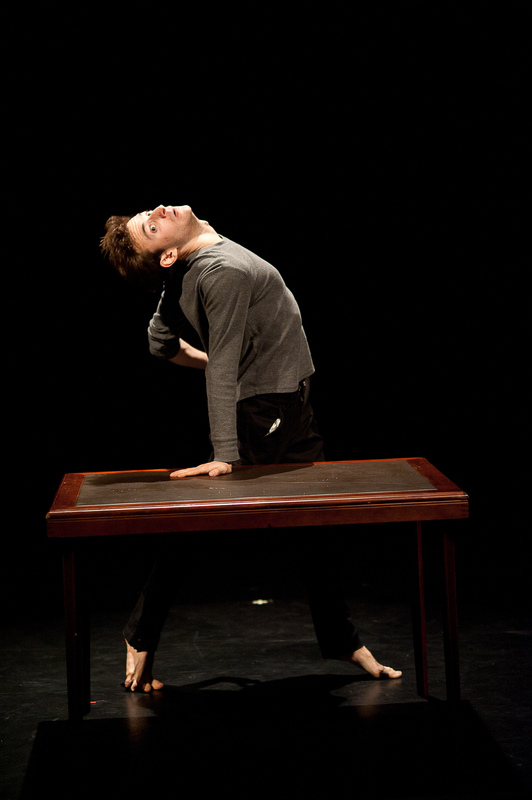 Hubbard Street Dance Chicago (HSDC) announced its 2011-2012 season today. Some Twyla, some Nacho, some Forsythe, some old, some new, a little Harold, LINES and a lot of Cerrudo. On paper, it already looks amazing. On stage, it is not to be missed. Under the direction of Glenn Edgerton, HSDC has continued to show an international audience why they are one of the best. Flawless technicians, intuitive artists, open and honest performers and consummate professionals. Next season opens with the company at the Harris Theater in October. Nacho Duato’s gorgeous Arcangelo (if you were lucky, you saw it last fall), Johan Inger’s Walking Mad and a world premiere from Twyla Tharp (working with the company again after a 15 year absence) launches the new season. HSDC switches it up for the Winter Series in January, by performing a slew of new works on the MCA Stage and presenting danc(e)volve: New Works Festival. Edgerton will curate the show featuring pieces picked from the company’s Inside/Out Choreographic Workshop, two winners from the annual National Choreographic Competition and HS2 will perform a world premiere from HSDC Resident Choreographer Alejandro Cerrudo. Springtime brings HSDC back to the Harris for a power-packed program bringing back Sharon Eyal’s techo-intense Too Beaucoup (a huge hit from this year’s Spring Series), Alonzo King’s Following the Subtle Current Upstream (which audiences will see in the upcoming May Summer Series) and another world premiere by Cerrudo, his 10th in four years as Resident Choreographer (keep them coming please!). In December, HS2 bings back the delightful children’s program Harold and the Purple Crayon: A Dance Adventure. Choreographed by HSDC dancer Robyn Mineko Williams and HSDC Artistic Associate Terrance Marling, Harold wowed the sold-out crowds at its premiere, enthralling parents and kids alike. (Case in point: I’m not sure who enjoyed it more – me or my 6-year-old goddaughter!) Rounding out the season, the company revisits Cerrudo’s Maltidos and Ohad Naharin’s THREE TO MAX (which just had its premiere in March) and presents the much-anticipated company premiere of William Forsythe’s Quintett. Of course, this is just the Chicago concert series. The company is always busy touring, cultivating the collaborations with the Chicago Symphony Orchestra (now in its 9th year) and the Art Institute of Chicago and doing community outreach through the Chicago Public Schools. Merde to HSDC for what will undoubtedly be another outstanding season of dance!